The XT3 is Innovatronix's biggest, most powerful location lighting solution yet. We put this pure sine wave battery inverter through its paces. 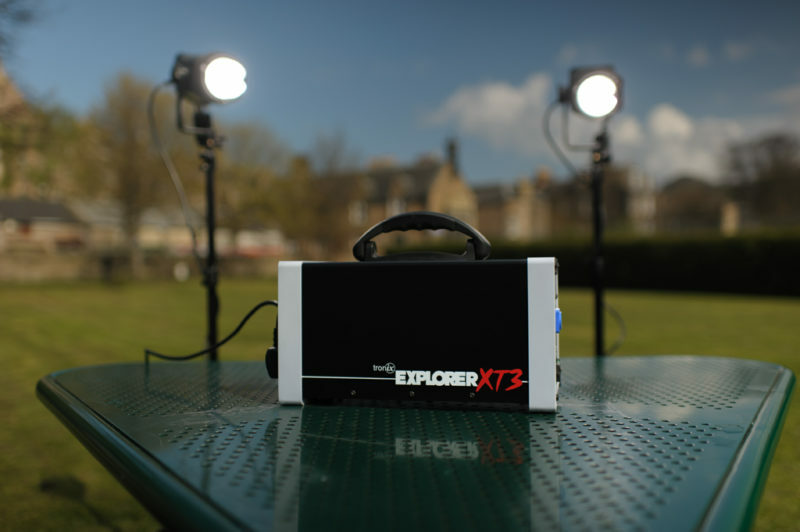 Innovatronix has added a new member to its portable battery power units, the Explorer XT3, helping to give you more and speedier choices when shooting with bigger lights. The internals of the XT3 allow for 800W continous power, peaking at 2400Ws, allowing the much bigger lights to be attached. As with all Innovatronix hardware, the no-nonsense exterior means you don’t have to spend much time with the learning. There is only a power switch, LED power gauge and sockets on one end and a charging slot on the other, so you can get down to the shooting. The recessed power button does mean you won’t have to worry about the unit turning itself on during transit. You will find that once you start using the XT3, after a few shots the LED gauge will hit orange and thats where it will operate for the rest of your shooting until you are close to the end of the battery, whjere it will turn red. The tests were done without the modelling lights on. The XT3 can be used to power your laptop, charge your mobile, but if you want to keep the full charge and high recycle times for a longer period of time, recommendation is not to use anything other that your lights at the same time. Now the Explorer XT3 is the bigger brother of the XT SE. It’s the same size as its sibiling, though it does hide another 2.5kg in the same frame. This does give you that extra 450W (800W total) continuous power rating. The XT3 has found how to dress up nice, sporting a more handsome look than the XT SE, for the more style-conscious of you out there. The plus side to this is that there’s a heftier carrying handle, which is easier to hold and gives you the confidence that it can hold the weight of such a battery pack. Operation-wise, there were no teething problems with plugging in lights and them working straight away. Noise-wise, when in use in not-so-open environments, the XT3 is a lot louder, with more airflow needing to be pumped through the unit to keep it cool. There hasn’t been a time, though, that it ever overheated or had to turn it off due to any temperature problems. If you are looking for a battery pack that allows you to use some bigger lights for a project, then you can’t go wrong with the XT3 – provided you don’t mind the extra weight and price for the jump up to this model. Having now used the Mini, XT SE, and XT3, Innovatronix pretty much have most bases covered. They cater for those powering one light with, say, the Mini, to those using the XT SE with some lower-powered lights, then allowing those with the more power-hungry kit to hit the great outdoors with the XT3. 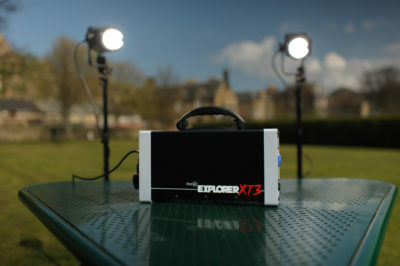 The Tronix Explorer XT3 is available for US$790.00 directly from the Innovatronix web site, shipped worldwide. The lighter-duty XT SE pack costs US$389.00 and the ultra-compact Explorer Mini unit is $349.00. In the United Kingdom, Innovatronix products are distributed by The Flash Centre, who retail the Tronix XT3 for £720.